Part of considering a professional wedding photographer and how you want your day captured, is how you want your final images presented. Albums or a box of prints used to be the mainstay of the wedding industry. When I started out in the early 00’s, I remember many hours spent in dark rooms producing images and then carefully adding them to the wedding album. Now days my light bending skills have been largely replaced with Photoshop, and and pigment inkjet prints on fine art papers. Images are now provided online and via usb sticks, and although I still provide package options with albums, I find less people are going for the album options. When considering whether or not to add an album to the package, below is a list of what I believe you should consider, before you make a firm decision to go with the digital only wedding photography option. What’s so good about a wedding album? One word springs immediately to mind ‘Tactile’. There’s really no way that digital can replace the feel of an album, literally. Being able to leaf through gorgeously crafted pages of photos and smell the print, paper and cover simply cannot be replicated on screen (even with the oculus rift). There is something absolutely magical about your children or grandchildren being able to leaf through a solid, beautifully bound album and discover their relatives staring back at them from before they were born. The first thing my wife does when she visits her Mum is take some family photo albums off the shelf and snuggle in with a cuppa to ask her Mum to relay her stories and memories behind the photos. Albums are easy to access and a great way to refresh memories. And like all memories, each person that was part of that memory immortalised on the page, has a different interpretation of what happened in that moment. It’s the story it tells for each person there and each person viewing it afterwards that makes an image special, yes it’s a little like a time machine. How many of us actually know which cloud account, hard drive or PC folder or usb stick our cherished photos are in? Not many of us take the time to title and tag our precious digital memories outside of Facebook, so it’s not an easy search. Try and find something from more than a year ago right now..I’ll wait…. Was it easy? I’m guessing it was harder than you expected. Even if you could find the general event immediately, what if you’re looking for that specific one where you and your beloved are talking and smiling with Nana who’s since passed away? Do you have to scroll through 350 photos in Facebook, Flickr or a windows explorer folder to find it or do you slip that perfectly bound wedding album off your bookshelf and flick through to the section that has all your previously picked reception pics and find your late Nanna on side 27? Having a professional to help compile your wedding day into one beautifully bound volume, puts all the highlights and special moments at your finger tips. A qualified photographer will help you plan your album, assisting you in finding your favorite images, to create a final product that is something you feel a part of. What’s not so good?… or at least requires further consideration. It’s a material object……. that could get lost. I’ve added this here as a potential negative but it doesn’t have to be. I’ve heard the argument, but digital files are safer, you can back them up to multiple places, an album can be destroyed and become degraded over time. The great thing about digital photography is that if an album is lost in a house fire, or abused in some way, it can actually be replaced. 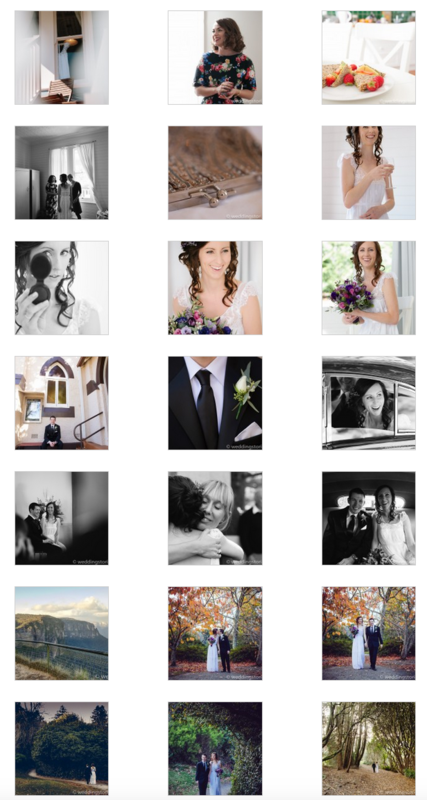 Wedding stories backs up all album files and wedding images locally (the blue mountains), regionally (Sydney CBD) and internationally (Somewhere on the east coast of America, because you can never be too careful right?). If you decide to get a professionally made album your photographer (most likely) still has the original files. It’s a good idea to back your personal files up to a cloud as well as an easy to grab removable hard drive, but that probably needs it own post (stay tuned for best ways to backup your memories). At the time, the cost of a professionally crafted album may seem more expensive compared to just getting the digital negatives on a usb stick. But think about everything else you’ve invested in that day, rings, wedding dresses, suits, shoes, reception venue and food, flowers, cars, locations etc, etc. I’ll wager the cost of the album is tiny compared to these other costs. And they are OVER in one day! Most forget the money spent and remember the experience. An album helps you relive the fun, laughter and love. Photos can help to cement those memories, and make new ones for people entering your life after your wedding day. In short, get the album, you won’t regret it. Get ready for a special music event with Paul Wookey and Philomena Carroll. Award-winning Paul is considered one of the best flat-picking acoustic guitarists in Australia, and Phil, an accomplished musician on banjo, guitar, double bass and vocals. 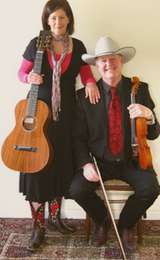 Together, they will present Ol’ Timey music with a new twist from their vast repertoire of classic and original songs in a variety of genres, including Roots or Americana, Country, Blues, Folk and Bluegrass. than he ever did, a true master of his craft. Clarence White, The Byrds, The Beatles ….. .
enjoyed playing with him through the years …..
Mickey Newbury, John Renbourn, even Jasper Carrot, and a score more that have slipped from his memory. McNamara’s most recent Australia All Over compilation CD. in a vast repertoire of classic and original songs from a variety of genres. Sometimes the light just makes taking great pictures almost effortless. The morning of Jacqui and Mikes wedding was one of those days. The light was soft and beautiful and the mood was relaxed and happy. Just right for a wedding day. Blackheath in the late autumn has an almost ethereal quality about it, and after the arriving at the traditional wedding ceremony venue,we roamed the park in the twilight searching for interesting and colourful scenes. From there it was off to an intimate venue with close family and friends. The Carrington in Katoomba is an art deco masterpiece that literally transports you back in time. For a young couple, Jacki and Mike both had maturity beyond their years, and their relaxed and fun nature made them a pleasure to photograph.